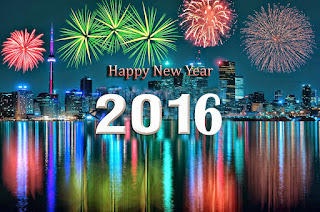 Happy New Year to all of you, my lovely lovely blogging friends! I trust everyone had a wonderful Christmas and hope you all have a very happy year to come! My, how 2015 wizzed past and I am hoping that 2016 will take a more leisurely pace . . . though, I suspect not! 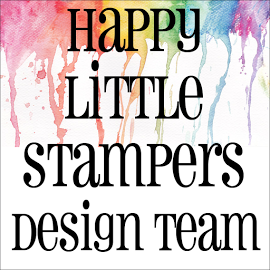 Kylie is very generously sponsoring the challenge again and giving away one of Happy Little Stampers very own stamp sets! 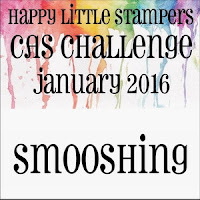 Without further ado, let's look at my card for this, our very first challenge of 2016! The first thing I did was to take a panel of watercolour paper and make the background piece, by using my Distress Ink pad in Picked Raspberry on a craft sheet and spritzing it with water - I also spritzed the watercolour panel with water too, in order to allow the ink to move, then smooshed it into the puddle of ink. I let the panel dry and then dabbed the dry panel down in the wet ink again and repeated this a couple more times, until I got the look I was going for. 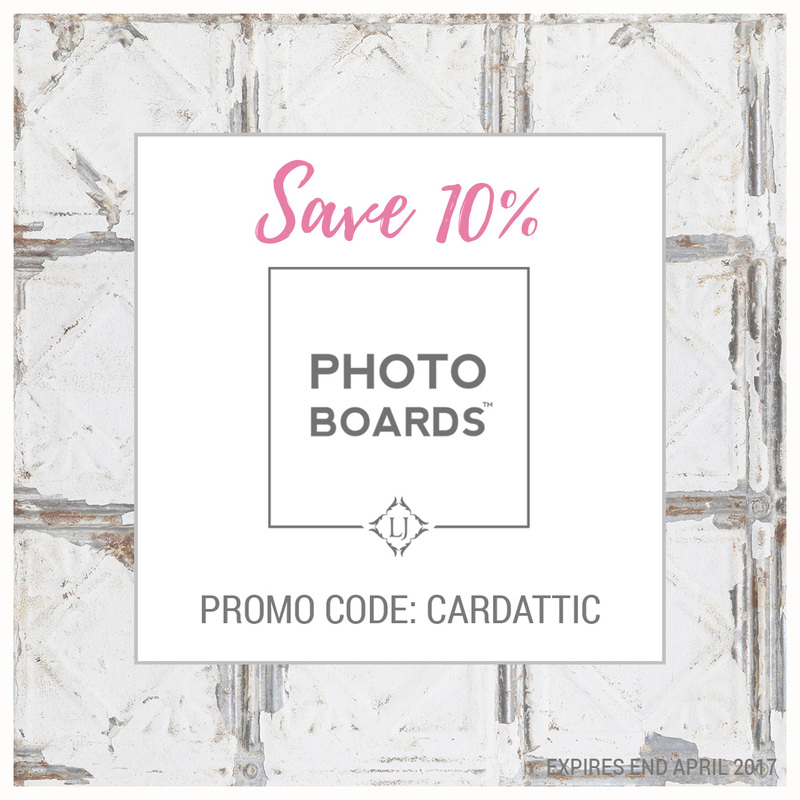 Next, I cut the word Happy out of the panel with a die from Clearly Whimsy and twice more out of white cardstock and layered them on top of one another for dimenson. Then, I cut a white panel out, smaller than the watercolour panel with a Lawn Fawn Stitched Hillside die and mounted that on to the watercolour panel with foam tape. I then adhered the whole panel on to a white card base. 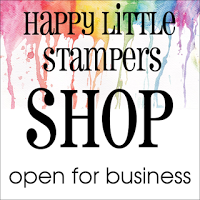 I finished off by adhering the die cut word on to the card and stamped the rest of the sentiment from Avery Elle's 'Label Love' stamp set and mounted that with foam tape. Finally, I added a few enamel dots in pink and black to tie the whole thing together. 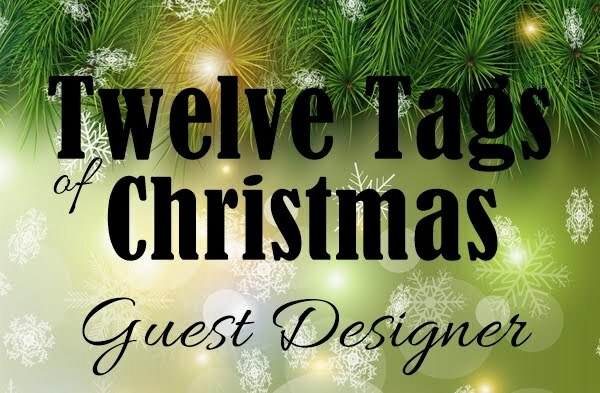 Why not join in the fun and pop along to see all the other fabulous designs made by my fellow team members and enter to stand a chance of winning a prize! That's it for this first post of 2016, thanks for stopping by and for all your support and love during 2015! 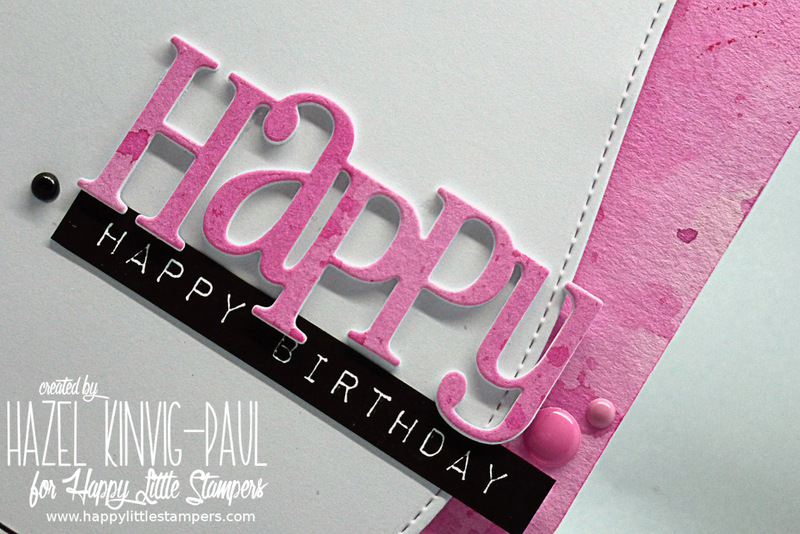 I love the layered pinks of your smooshing and the matching Happy die cut! That curved edge is a fantastic touch! 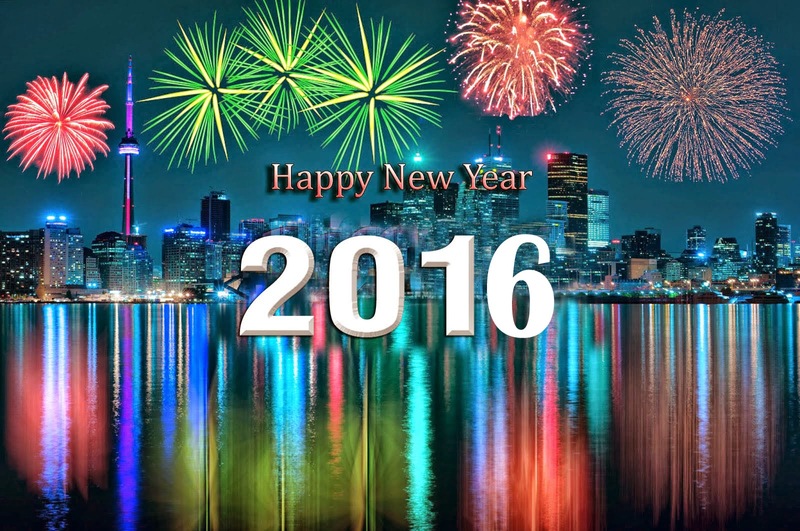 I hope you have a wonderful 2016! WOW!!! 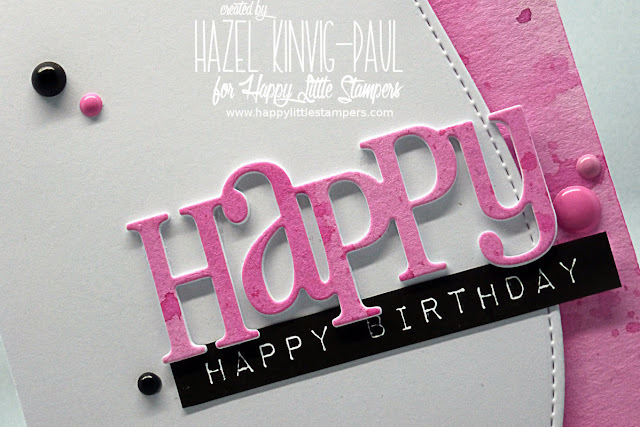 This is absolutely gorgeous, Hazel! Amazing color, rich and cheerful, and design is perfect. Happy New Year to you too! Happy New Year Hazel! This is so beautifully CAS ... I love it!! Wow, I love this gorgeous CAS design Hazel and the bright smooshing is lovely! 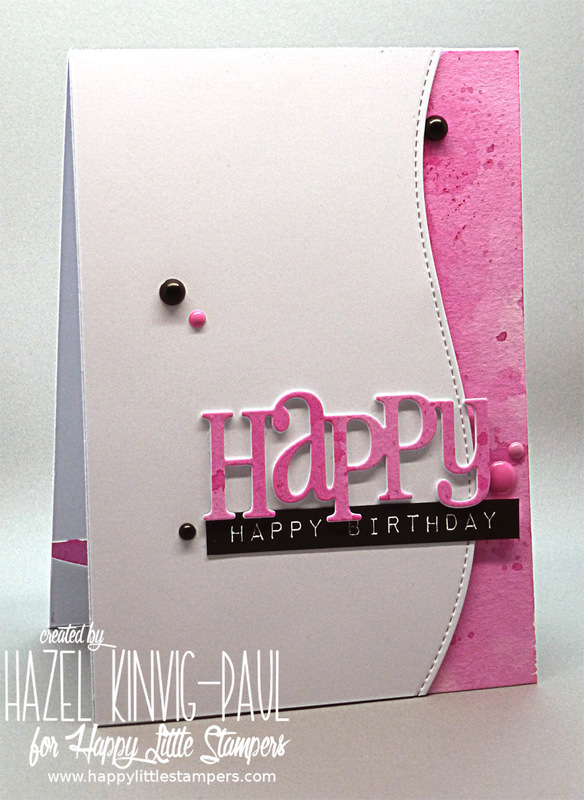 Beautiful card, Hazel. Very beautiful! 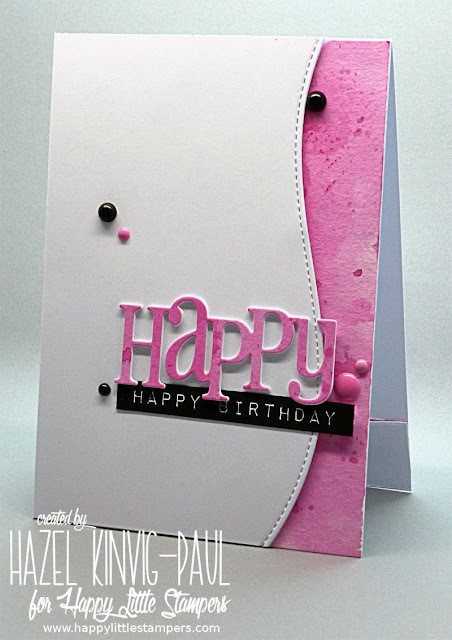 Simply fabulous smooshing...love that beautiful pink. Hazel this is beautiful! 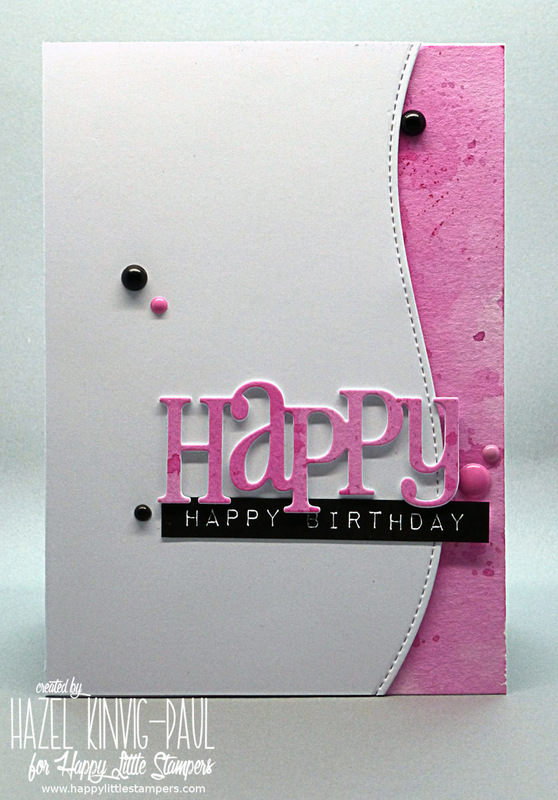 Great contrast with the pink and black! Beautiful design, Hazel. Your smooshing looks great and I love the curved edge and the pink.